Four members of the House of Representatives have announced their defection from the ruling All Progressives Congress (APC). 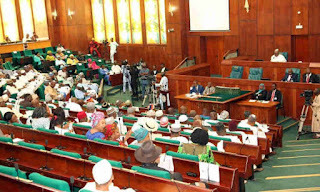 The lawmakers are Abiodun Awoleye-Dada, who has moved to the Accord party (AP); Samuel Segun-Williams, who has moved to the Labour Party (LP); and Lawan Hassan-Anka, who has joined the Peoples Democratic Party (PDP). The fourth member, Hon. Lam Adesina, has defected to the African Democratic Congress (ADC). Speaker Yakubu Dogara on Tuesday announced the defections on the floor of the House in Abuja.